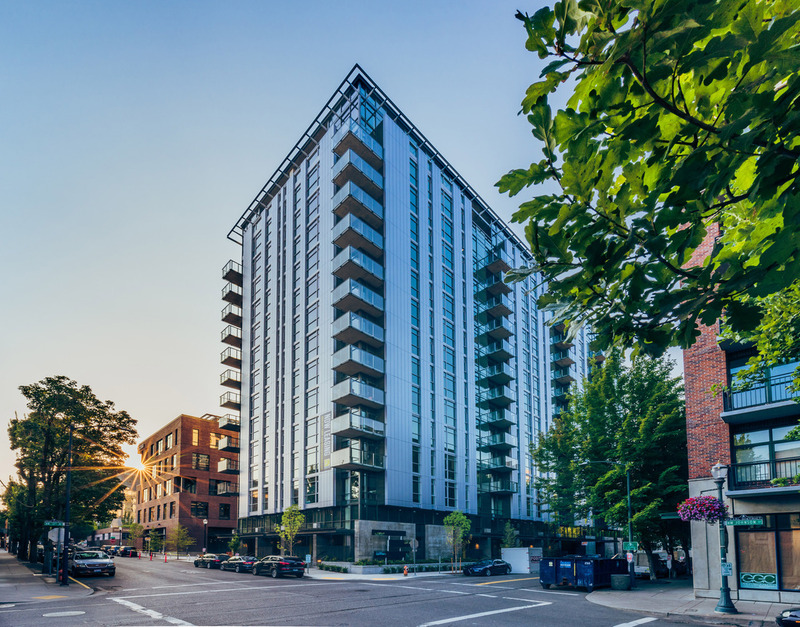 Block 136 | Cary Kopczynski & Company, Inc. 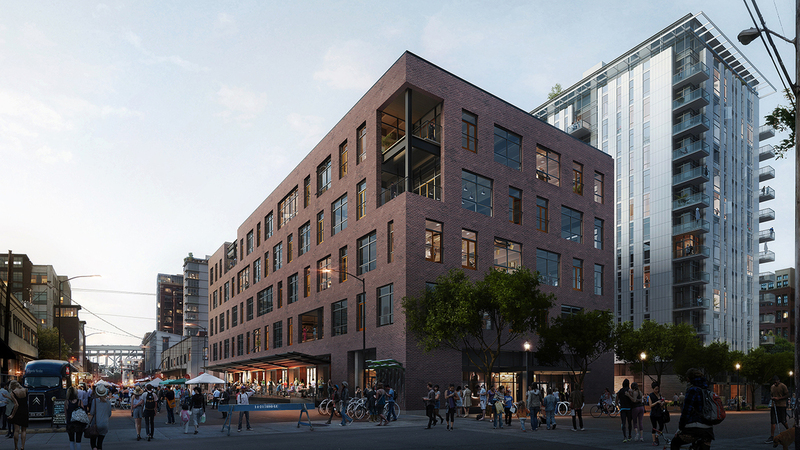 Located in the Pearl District in Portland, Oregon, Block 136 encompasses two buildings on the block, joined by a courtyard. The office building is a brick-clad office-and-retail 75-foot tall low-rise structure echoing the style of the historic buildings in the neighborhood, while a glassy 150-foot tall residential high-rise reflects the style of the neighborhood to the north. The residential tower features 218 apartments and the office tower includes retail spaces at ground level. Both buildings share a courtyard and two levels of below grade parking. The high-rise structure, below grade parking, and low-rise up to level 2 are cast-in-place post-tensioned concrete. The office building structure is steel framing with wood joists and plywood floor.